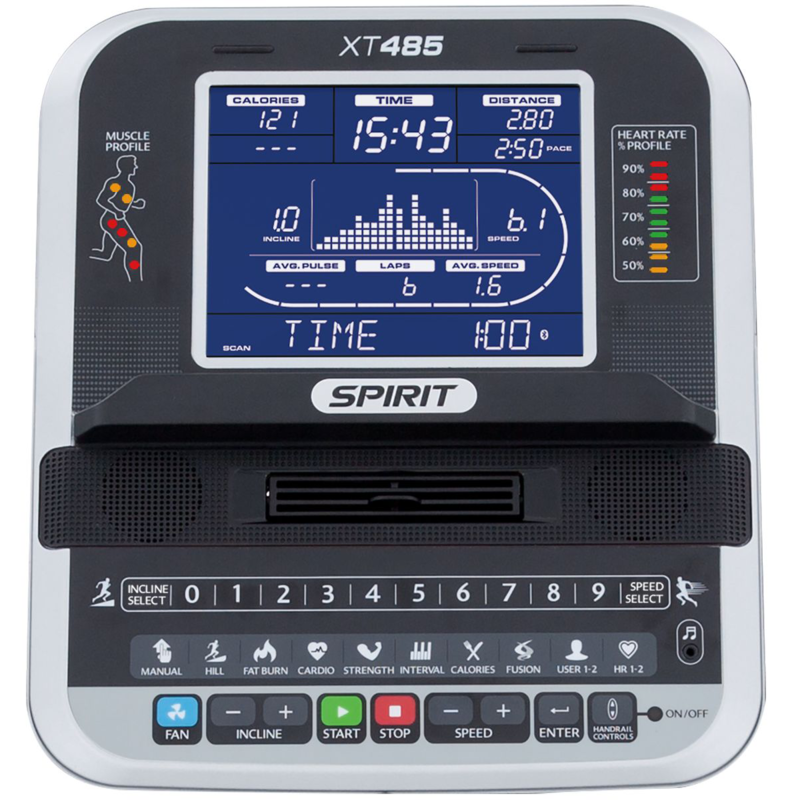 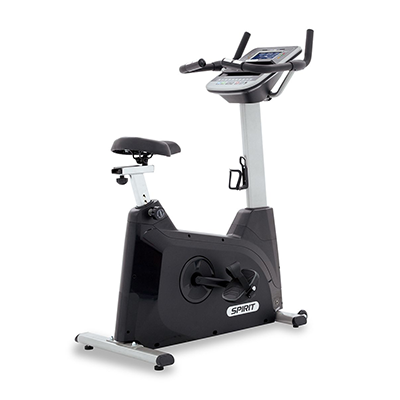 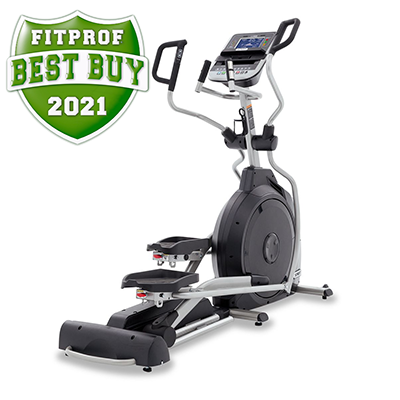 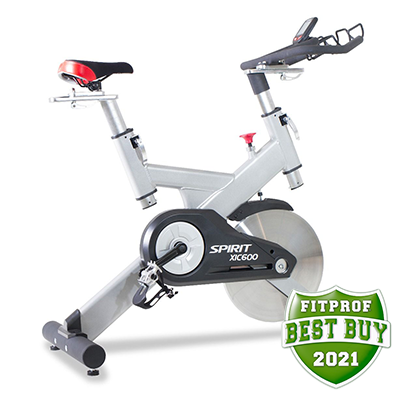 The Spirit Fitness XT485 treadmill displays your workout data on a bold, oversized, easy-to-read, 9” blue backlit LCD screen. 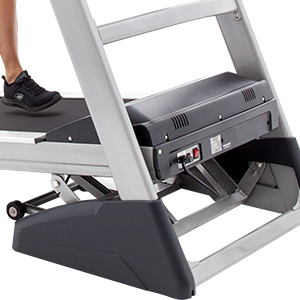 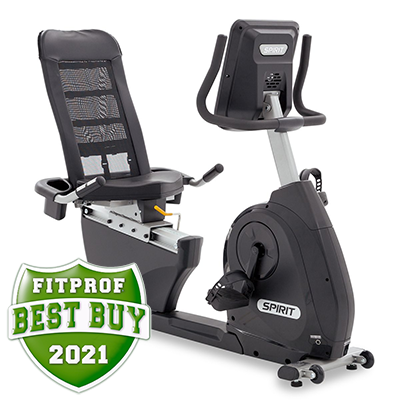 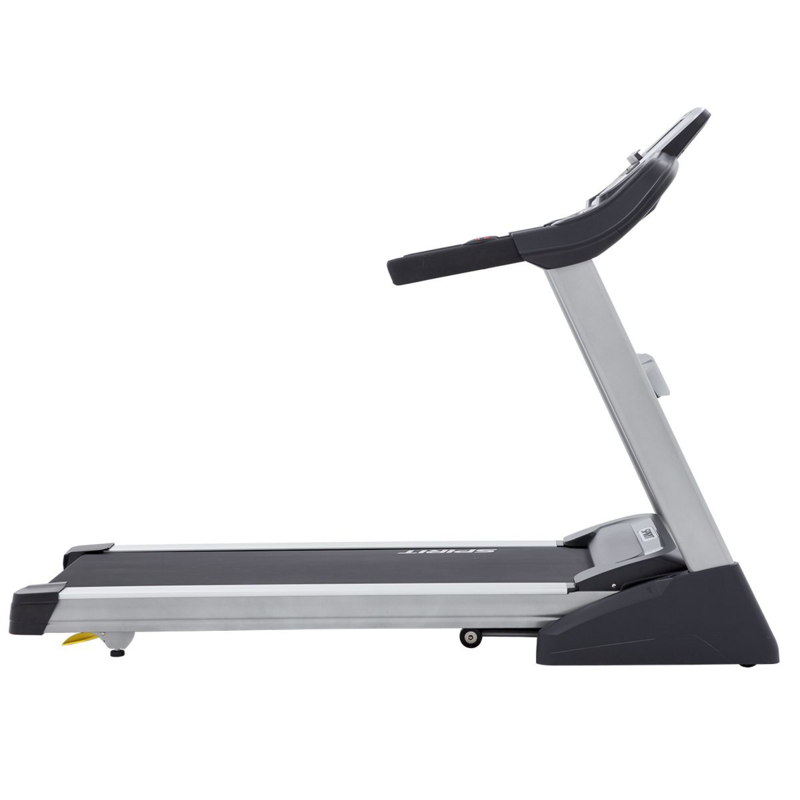 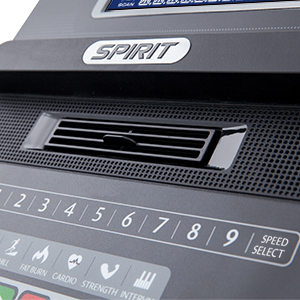 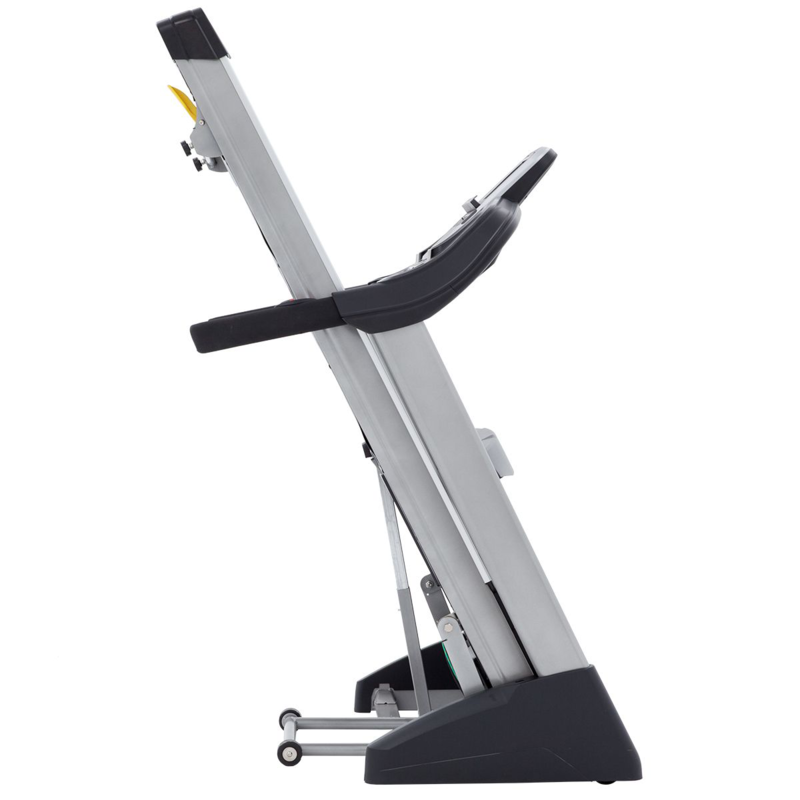 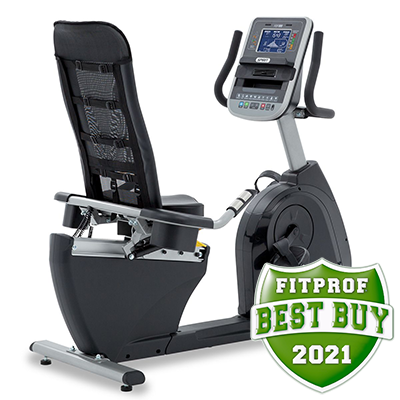 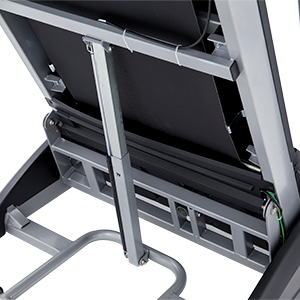 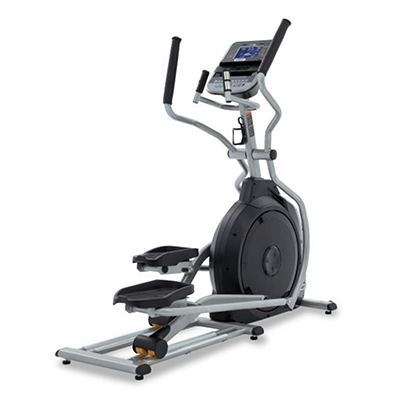 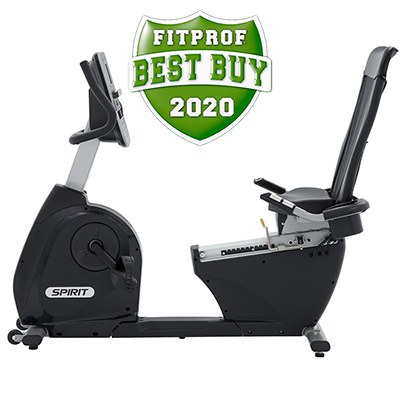 The Spirit Fitness XT485 is a premium treadmill featuring our fold-up frame design. 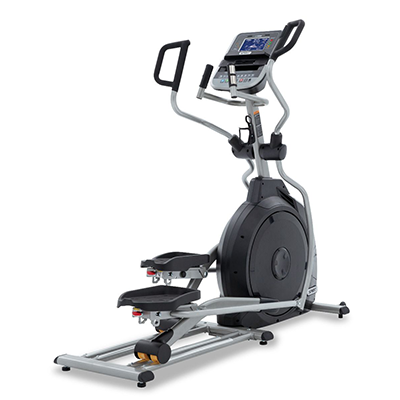 This with a 22" x 60" workout area, a 4.0CHP motor, and our exclusive Fusion program which integrates cardio and strength to help you achieve your fitness goals. 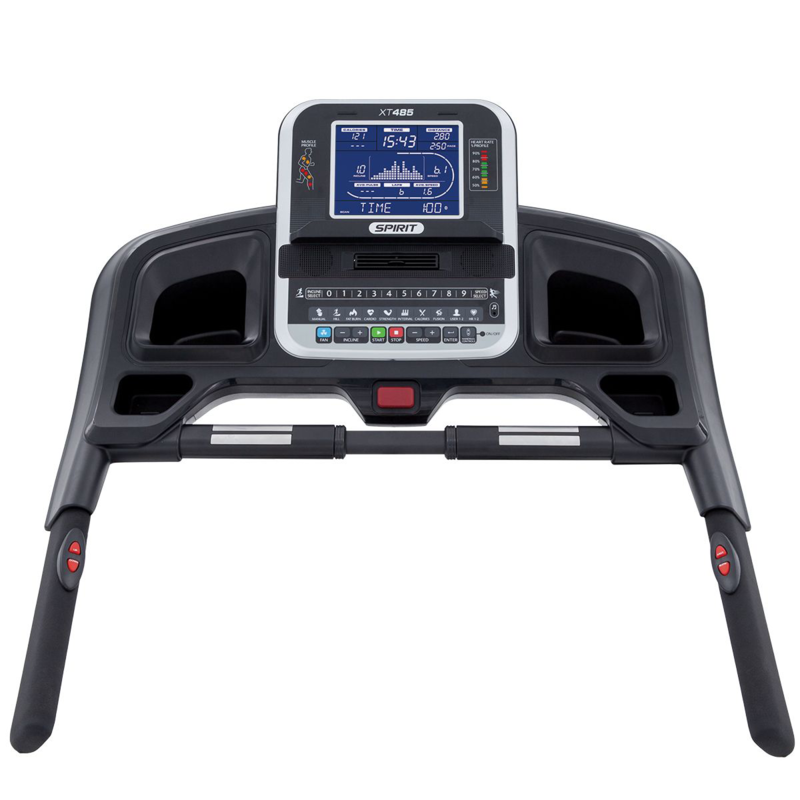 These features team up with a large 9" blue backlit LCD and message center to help keep you on track day after day. 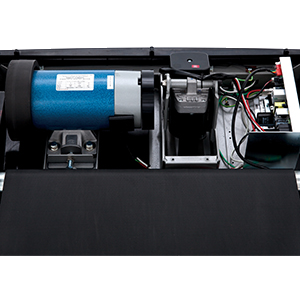 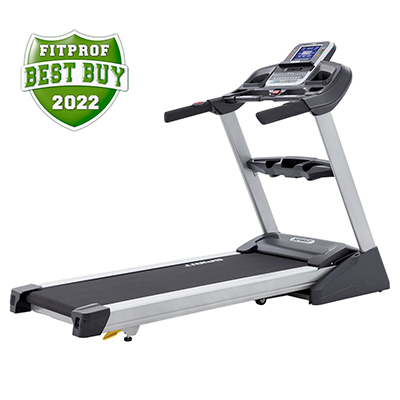 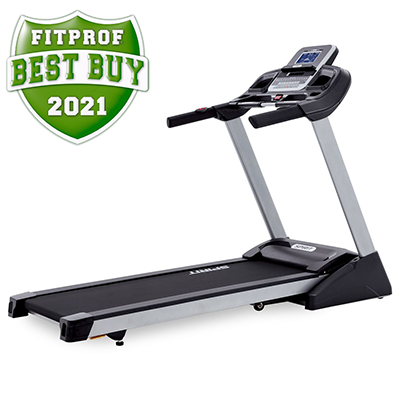 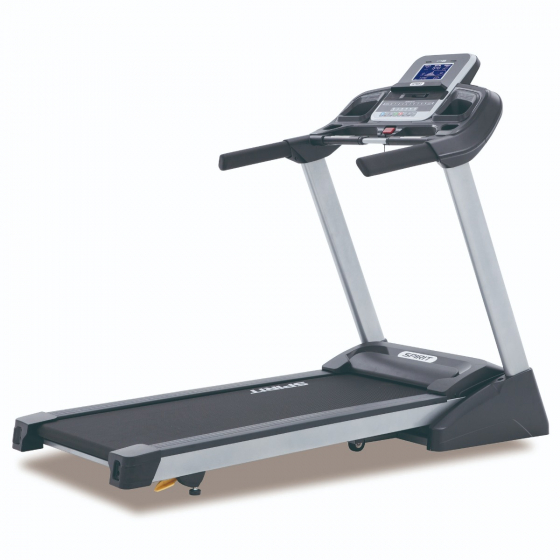 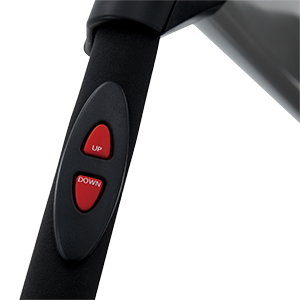 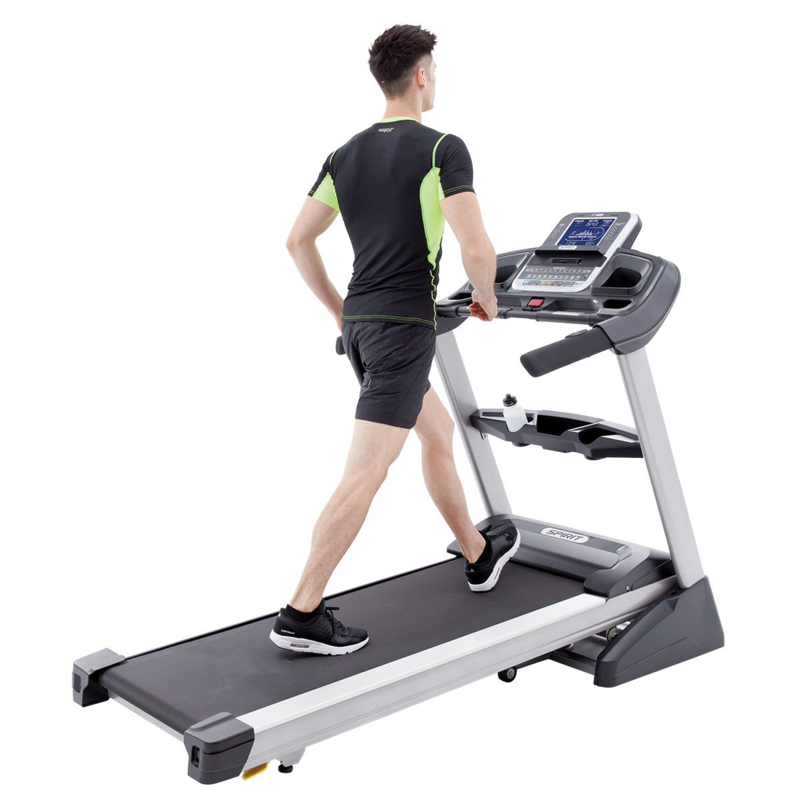 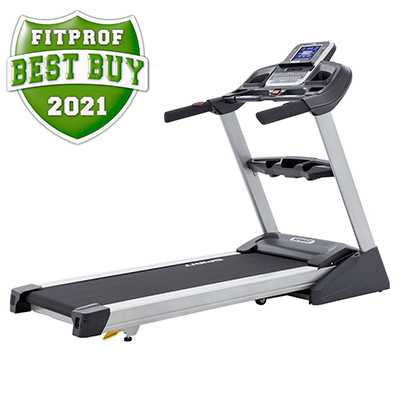 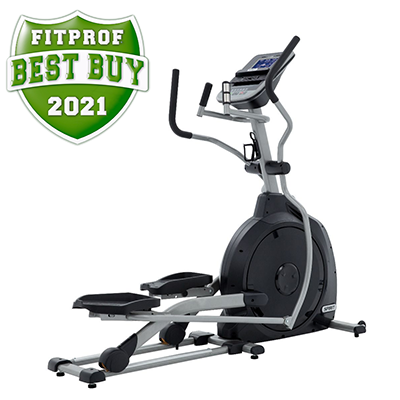 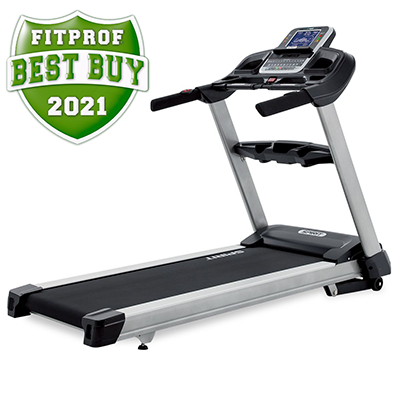 The XT485 features the same options as the XT385 treadmill but also includes Calorie and Fusion programs making it a useful tool for any user, from a gentle walker to an avid runner.